Traveling alone I like to travel light so that carrying my bags on my own is easy. I have used one roller style carry-on suitcase and a small backpack for all of my solo trips. 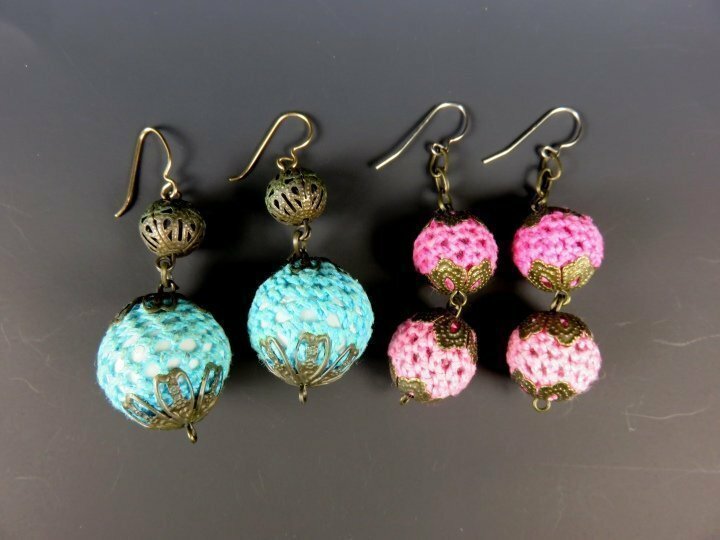 My favorite keepsake souvenirs to buy while traveling are earrings. Guys you should keep this in mind when you are looking for a great keepsake gift while traveling. 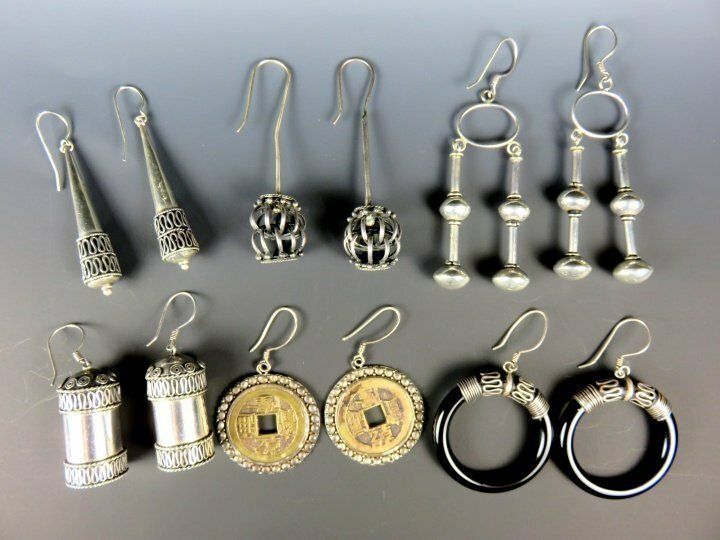 I have a decent collection of earrings from my travels around the world – my wearable souvenirs. 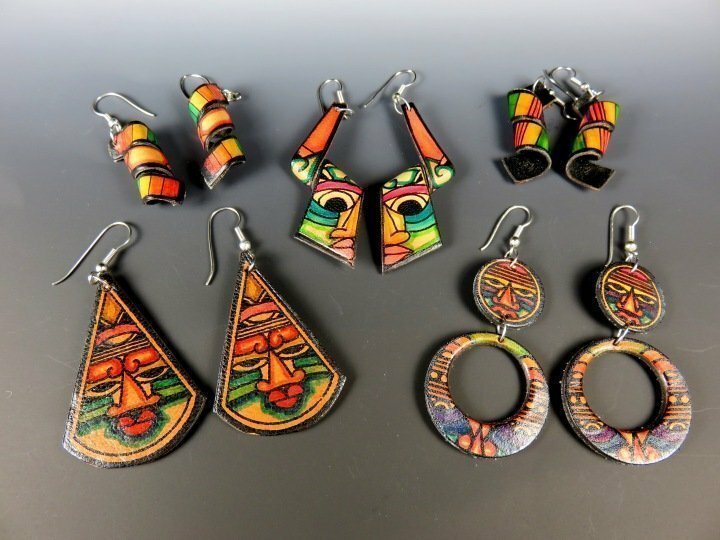 I have many earrings from my first solo trip to Southeast Asia – all of the earrings I purchased were from Indonesia. 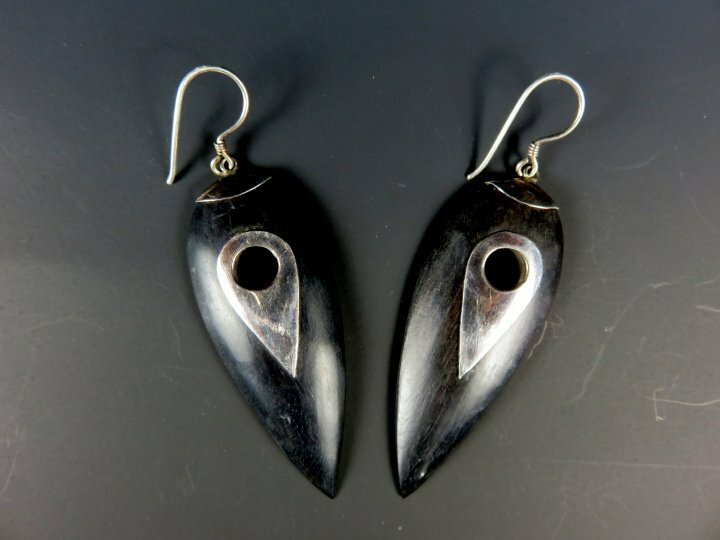 The earrings from Indonesia were purchased primarily in Ubud which is known for its silver jewelry artisans. Looking at each of these little works of art brings me right back to Ubud – the gamalan music, aroma of incense, ubiquitous offerings of rice, flowers & incense in tiny hand-woven baskets, and the friendly smiles of the Balinese people. These treasured keepsake souvenirs each have a story and I can recall clearly some of the interactions I had with the local people and with other travelers. Fond memories. In Istanbul I was smitten with the felt jewelry in many of the shops. My Turkish friend told me the jewelry was handmade in Azerbaijan. i bought several rings, necklaces, and earrings. 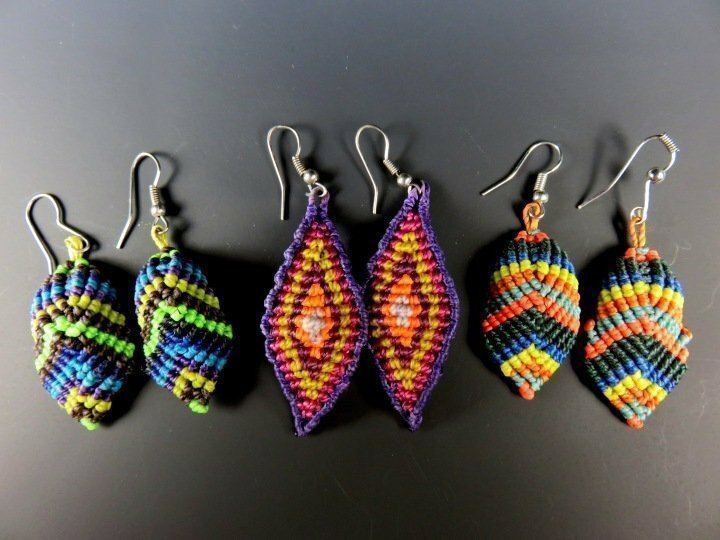 At the outdoor markets of Plaza Serrano in Buenos Aires Argentina I purchased several pairs of brightly colored knit earrings. 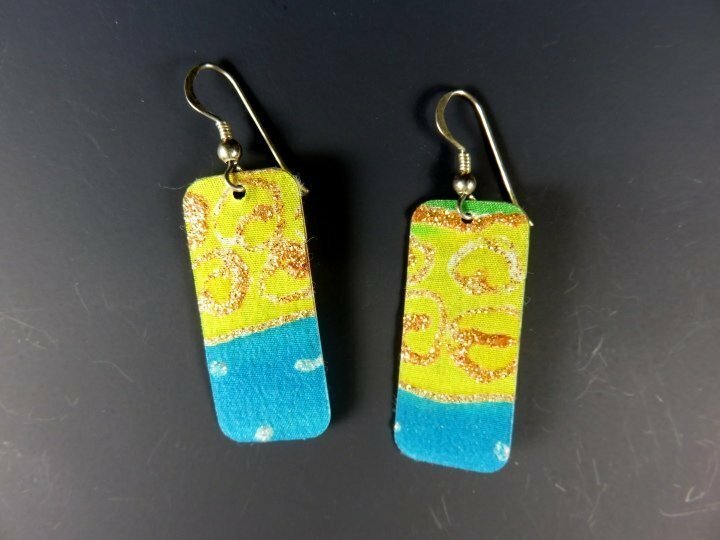 In Barcelona there was an outdoor art show near Plaza Catalunya – I purchased a couple of handmade painted silk scarves as gifts for my mom and my sister and painted silk earrings for friends, family, and me! Wandering the mosaic promenade along Copacabana Beach in Rio de Janeiro artisans set up booths of artwork and goods for sale. 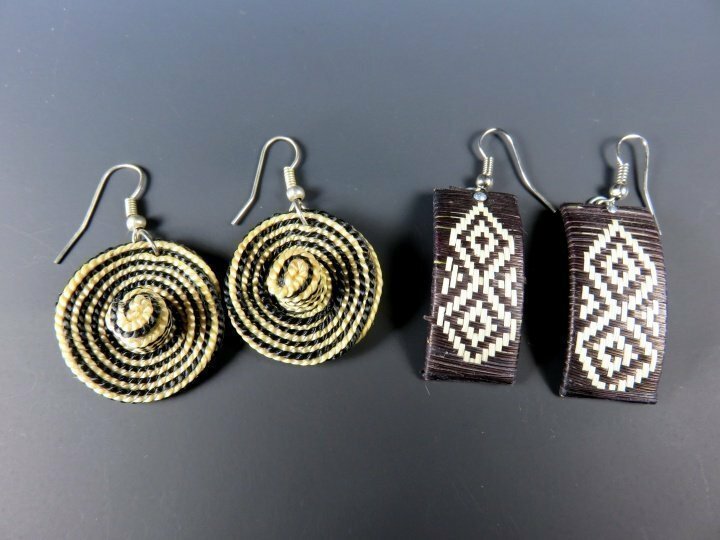 There was an Amazonian woman selling her handcrafted jewelry made from seed pods. I purchased several pairs as gifts and a few for myself. Visiting museums and art galleries around the world I usually stop in the gift shop to have a look at their offerings. In Montreal while visiting the marvelous Musée des beaux arts de Montréal (Montreal Museum of Fine Arts) I wandered into their boutique-bookshop and there were local jewelry artists exhibiting their work so I was lucky enough to get to chat with a couple of them and purchase their beautiful handmade treasures. I spend a couple of nights in San José Costa Rica – one night each before and after my week of relaxation in Manzanillo on the Caribbean coast. While exploring the city of San José I found a shop called La Salamandra with clothing, furniture, and artwork primarily from Nepal. The owner, Julio, is from Argentina but left to travel the world many decades ago. Now settled in San José he runs La Salamandra boutique and I had a nice chat with him whilst shopping. While visiting Bogata Colombia I found some unique earrings at a shop just down the street from my hostel in La Candelaria district. 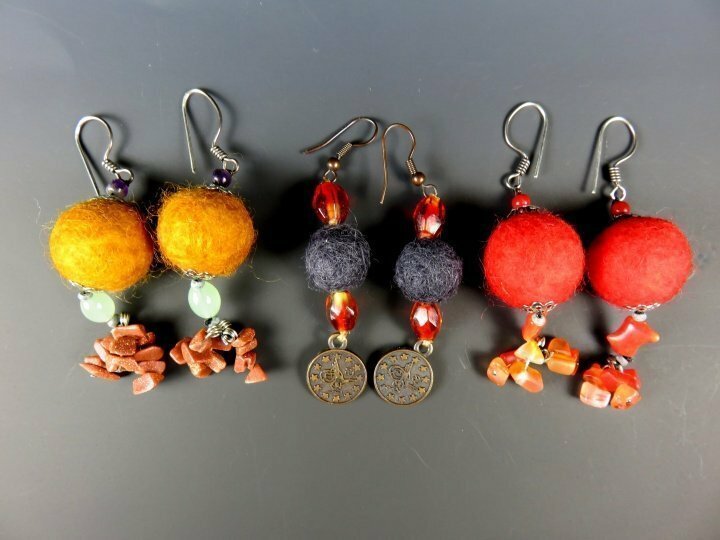 I purchased three pairs of hand knit earrings and I wear them often. I traveled to Colombia twice and the reason I went back a second time was due to the wonderful friends I met in Cartagena during my first solo trip there in May of 2012. When I returned to celebrate New Year’s Eve with them we danced until 5:30 in the morning! My friend Liliana gave me a pair of earrings fashioned after the traditional Colombian hats known as sombrero vueltiao (turned hat) – very cute! Do you buy souvenirs when you travel? What are your favorite souvenirs to give or to receive as gifts? A journey through the alphabet with ABC Wednesday Project where people from around the world create and share a weekly post. What a wonderful collection, for all occasions! What a collection and wonderful souvenirs! Your collection is immense and beautiful, so precious. I just started. I too try to collect small pieces of jewelry (earrings if possible) from places I visit. So far I have a pair from Egypt, a Maltese cross from Malta and a couple of pairs from different parts of US. I haven’t been to Egypt or Malta yet – i would imagine there are some incredible jewelry shops and markets. I would need some discipline to keep from buying up everything I liked. 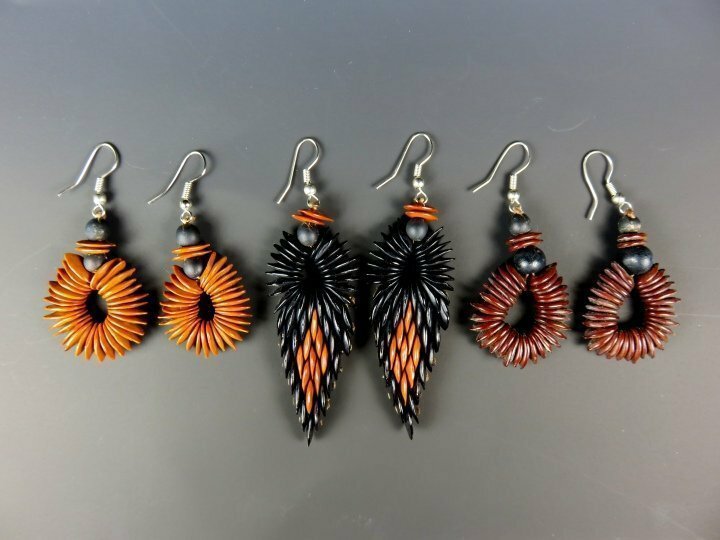 You have a splendid collection of earrings here – I love them all. When I travelled last time (to England and Wales) I only had a small case, too. I had squeezed in some gifts for people who were putting us up so these gifts made room for me to bring a few things back. I decided to get tea towels because I could roll them up or fold them flat and they didn’t take up much room. But I love the idea of earrings – since I feel naked without them! What a great gift idea! Leslie, I also feel naked without my earrings! I stopped wearing makeup a couple of years ago but I could never give up my earring habit. Tea towels are a great gift or souvenir item too! Non-breakable and flexible shape is so easy to pack. An amazing collection and what a great idea for gifts! I also like to buy a few extra stamps when I send post cards so I can keep a few for myself as souvenirs – now that’s really tiny and light weight! Those earrings are very lovely. Wow! You have a precious and unique collection. Each of them are so creatively done. Gives me an idea to start one of my own. A woman on my Haggis Adventures tour collected earrings from the places she’s been. She had quite the assortment. I stick with postcards and a deck of playing cards if they’re available. 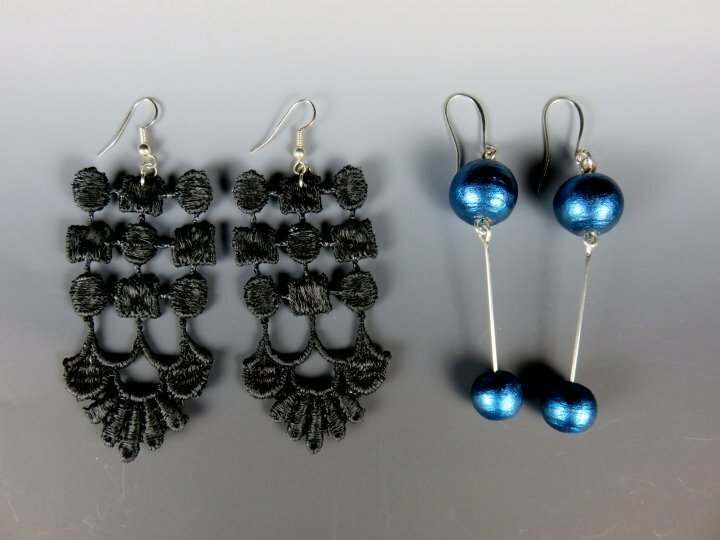 Earrings are my thing as well! Love..love ..love your collection. I passed up some locally made earrings at an art market in Split, Croatia. I kicked myself afterwards.